Whether you’re looking for that hot new jersey for a baseball superfan or something to rep your favorite team on opening day, the Walmart Fan Shop is the best place to find it. 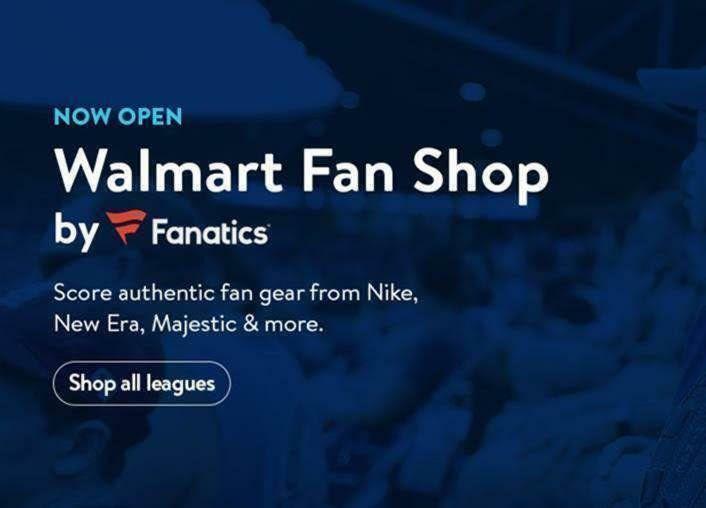 The all-new Walmart Fan Shop by Fanatics is a one-stop shop where fans can find their favorite team’s gear year-round from hot brands like Nike, New Era, Majestic and more. And not just for baseball — if you’re looking for collectibles and home decor, you can find the highest quality, officially licensed fan merchandise at Walmart’s everyday low prices. Hard-core fans can find everything they need to go head-to-toe in their favorite team’s gear for opening day. Want to trick out your car or office? No problem. Casual fans are in luck too, because if you’re looking for something to wear to a game, tailgate or party, you can find it at the Walmart Fan Shop by Fanatics. Need a gift for the sports fan in your life? This is the place for that, too. The Walmart Fan Shop by Fanatics, where real fans can gear up for game day.